[PDF] Masters of Command: Alexander, Hannibal, Caesar, and the Genius of Leadership | Free eBooks Download - EBOOKEE! Description: ALEXANDER, HANNIBAL, CAESAR each was a master of war. Each had to look beyond the battlefield to decide whom to fight, when, and why to know what victory was and when to end the war to determine how to bring stability to the lands he conquered. Each general had to be a battlefield tactician and more: a statesman, a strategist, a leader. Tactics change, weapons change, but war itself remains much the same throughout the centuries, and a great warrior must know how to define success. Understanding where each of these three great (but flawed) commanders succeeded and failed can serve anyone who wants to think strategically or who has to demonstrate leadership. In Masters of Command Barry Strauss explains the qualities these great generals shared, the keys to their success, from ambition and judgment to leadership itself. 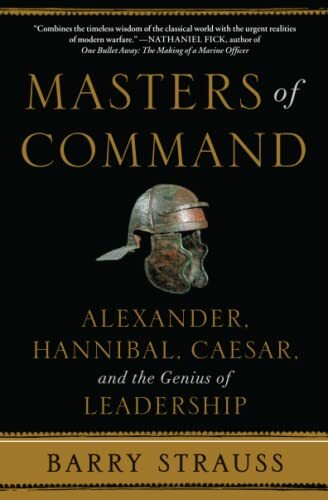 No comments for "[PDF] Masters of Command: Alexander, Hannibal, Caesar, and the Genius of Leadership".